Yokogawa Electric Corporation announces that, as of the end of fiscal year 2014, 14 of its employees have obtained certification as Global Industrial Cyber Security Professionals (GICSP). This is a relatively new professional qualification, first introduced in November 2013, and Yokogawa has been one of the leading companies within the industrial automation industry in obtaining certification for its employees. This attests to the high-level industrial cyber security expertise of its workforce and is in line with the company's longstanding commitment to bringing its customers safety and asset excellence. The GICSP certification exam is offered under the auspices of Global Information Assurance Certification (GIAC), a leader in the cyber security certification field. The GICSP is the only credential of its kind that addresses the specific cyber security issues that are encountered in the industrial control systems (ICS) field. This vendor-neutral certification is aimed at IT, engineering, and security professionals working in every industry. It assesses and validates that professionals have the skills, knowledge, and capabilities needed to be in a role where they will exercise responsibility for the cyber security of an ICS. An increasing number of Yokogawa's major customers are now requiring the assignment of at least one GICSP qualified professional to each project. This is clear evidence of the industry's strong recognition of and support for this professional qualification. Commenting on the GICSP, Shailendra Shete, head of the Global Engineering Business Division, says, "I believe it will be difficult for Yokogawa to make headway in expanding its security business if we do not emphasize the GICSP. Employees who get this certification will be conversant with the latest technologies and be at the forefront of efforts to provide such services to the industry. I think that they will be able to help Yokogawa take and maintain a leading position in the provision of security services." Yokogawa is continually striving to optimize control systems security for its customers by developing highly secure systems and instruments and providing operational support services. Even before launching its GICSP initiative, Yokogawa had developed its own security training program to ensure that its employees would be able to provide the security solutions needed by customers. Yokogawa will continue its efforts to increase the number of GICSP certified professionals at each of its Group companies around the world. This will help to strengthen the company's position as a leader in the ICS field, and will build on our long history in network security and our global reach. Our continual aim is to make sure that our customers can operate their plants safely. Rockwell Automation has introduced its new OptiSIS solution, giving industrial operators a pre-engineered safety instrumented system that can help ease deployment and reduce lead times for small and midsized process applications. The OptiSIS solution is ideal for oil and gas, chemical and petrochemical producers with aging process-safety systems that are either noncompliant or can no longer be maintained. The OptiSIS solution is designed for safety instrumented system applications of 50 or 100 I/O points, including emergency shutdown (ESD) systems, burner-management systems (BMS) and high-integrity pressure protection systems (HIPPS). The version for applications of up to 100 I/O points will be available in the fourth quarter of 2015. The pre-engineered OptiSIS solution is delivered ready to install, wire and configure, shortening the overall engineering time and eliminating the need for any programming. Users need only enter their logic scenarios into the system’s cause-and-effect graphical interface. The configurations are tested and can then be stored for verification against original safety function requirements – or used at a later date to restore the system to a known state. Flexible inputs and outputs help confirm that the system accommodates a varying mix of digital and analog I/O types. Additionally, simplex I/O and fault-tolerant (dual) I/O versions are available to address different redundancy needs. The system meets requirements up to Safety Integrity Level 3 (SIL 3) and is compliant with IEC 61511/ISA 84.00.01. It uses ready-to-install, TUV-certified hardware and validated application software. Rockwell Automation will demonstrate the new OptiSIS solution at the Offshore Technology Conference (OTC) in Booth 11813, taking place May 4 to 7 in Houston. The Certified Functional Safety Expert (CFSE) Program has introduced new ICS cybersecurity personnel certification specialties: The Certified Automation Cybersecurity Expert (CACE) and Certified Automation Cybersecurity Specialist (CACS). 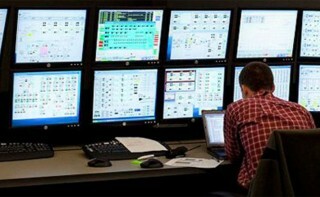 These have been developed in response to the growing demand to secure industrial automation control systems (IACS) and SCADA systems by providing a means for people to develop and demonstrate competence by understanding and applying security standards such as IEC 62443/ISA-99, as well as best practices. exida, a global supplier of functional safety products, services and certifications has released LOPAxTM, a Layer of Protection Analysis (LOPA) software that supports process safety management activities. LOPAx features different worksheets for various risk receptors and can easily account for different levels of Enabling Conditions (EC), Independent Protection Layers (IPL) and Conditional Modifiers (CM) effectiveness as they apply to different initiating events for the same hazard. “LOPAx uses a worksheet approach with the ability to simultaneously address multiple initiating events for the same hazard scenario,” says Iwan van Beurden, exida’s director of product development. exida, the global leader in functional safety certification for the process industries, has certified the Riken Keiki SD-1RI Infrared Gas Detector for functional safety, ensuring that it meets the functional safety requirements for Safety Integrity Level (SIL) 3 capability per IEC 61508: 2010. “We are pleased that Riken Keiki has chosen exida as its Certification Body (CB),” says Karou Sonoda, principal engineer, exida-Japan LLC.